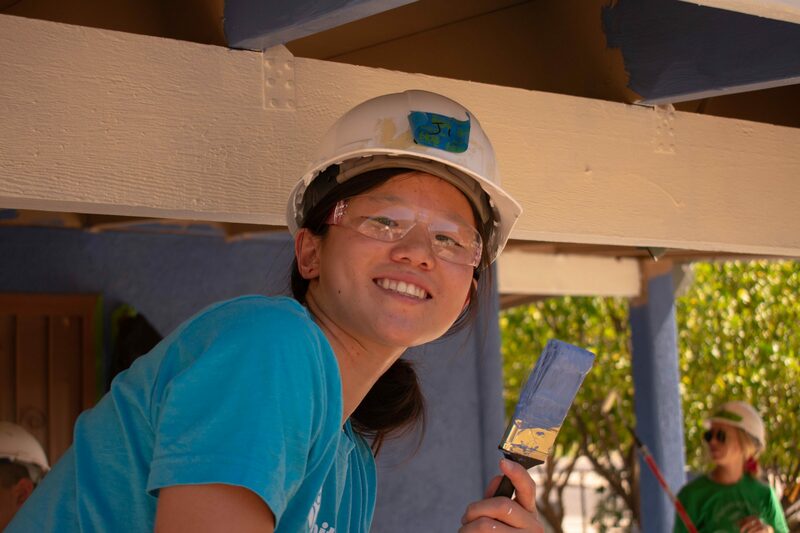 My name is Ji and I just finished an internship with Habitat for Humanity Tucson. I thought this internship would solely be focused on working in the marketing department, but I soon learned it was much more than that. I got to see how all the Habitat Tucson departments worked together towards a common goal, from working on outreach to putting mission into action and working at the build site. In the beginning, I knew very little about Habitat for Humanity itself, believing it to be a single-faceted housing organization that singularly worked to build brand new homes for “those in need”. However, as my internship progressed, I learned that Habitat was an organization that not only builds decent, affordable homes in partnership with homeowners but also but also provides resources to help homeowners become self-sustainable and pursue greater opportunities within their community. I realized that it was this aspect that distinguished Habitat for Humanity from other nonprofit housing organizations. It was also this aspect that helped me understand Habitat’s mission and gain a deeper appreciation for the work that they do. In this article, I wish to share with you 7 things I learned about Habitat while being an intern there. This is one of the biggest misconceptions about the organization. 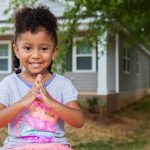 Habitat for Humanity does not just “give houses away”, rather, there is a structured process for purchasing a Habitat home. This process consists of attending several informational meetings, filling out a detailed application, attending interviews, and being willing to partner with Habitat (more about this under #3 – Sweat Equity). This also means that not everyone is eligible to become a homeowner. In addition to meeting the criteria above, homeowners also need to be within a certain income range depending on how many dependents are in that family. This income range is necessary because it bases applicants off financial need, but also makes sure that homeowners will be able to maintain their own home with an affordable payment plan. I think of it like this: the goal of Habitat is not to set people up for failure, but rather to help homeowners become self-reliable while still being able to pursue other opportunities (like education) without their mortgage serving as a financial barrier. Habitat for Humanity often buys unoccupied or abandoned land or is given land as a donation to build new houses on. It is on these plots of land that they build a cluster of homes that will eventually become a community. In addition to brand-new homes, they also renovate already existing homes. They will repair and improve homes and neighborhoods through events such as “A Brush With Kindness” and other neighborhood beautification efforts to help improve the neighborhood and promote the idea of a “decent home” which is a safe home. As I mentioned above, homeowners who partner Habitat pay an affordable mortgage (there is a zero percent interest rate), but the catch is that they are required to participate in sweat equity. This means that Habitat homeowners help build their homes alongside volunteers. 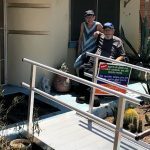 I have had many prospective homeowners tell me that they are eligible for obtaining a home through Habitat for Humanity because they can’t do any physical labor due to a disability, however, what many of them do not know is that there are other ways they can participate in sweat equity. This might be things like bringing water bottles to the volunteers, Habitat will think of something and work with individuals! Habitat for Humanity works in nearly 1,400 communities across the United States and in approximately 70 countries around the world. While these communities make up the organization and share the same mission of building strength, stability, and self-reliance, each chapter— including the Tucson chapter— conduct themselves a bit differently. This is done because it is more efficient, as each location brings with it its own set of rules and obstacles. Therefore, these chapters must tailor their efforts to fit the needs of that community. 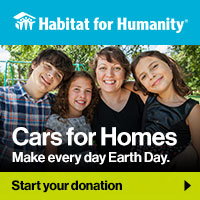 #5 Habitat for Humanity would not exist without its volunteers! It’s the volunteers that ultimately keep this organization up and running. Without their willingness to serve, this organization would cease to exist. During my time at Habitat, I found that volunteers came far and wide. We had men and women, young and old, experienced and inexperienced, those who came alone and those in groups. The diversity in volunteers made me realize that anyone can be a volunteer. I remember going to my first build event never having hit a nail with a hammer in my life. It took me 20 minutes to do one while some of the more experienced volunteers were able to do it in less than five seconds. It was hard work and I got blisters on my hands, but it was all worth it in the end because I felt completely satisfied with the work I had done. With every nail, I felt like I was contributing to the cause, and I saw the results right in front of my eyes. While interning for Habitat for Humanity, I discovered that Re-Stores, or the HabiStore as it’s called in Tucson, are operated by Habitat for Humanity. These Re-Stores are nonprofit home improvement stores and donation centers that sell new and gently used furniture, appliances, home accessories, building materials and more to the public at a fraction of the retail price. The coolest part is that all the proceeds go towards the local Habitat for Humanity organization. Restores not only provide affordable furniture and appliances for new homeowners but also benefit those interested in DIY and upcycle projects! Habitat for Humanity also offers other resources for homeowners. Resources like educational programs, free financial classes, affordable health insurance providers … These resources help new homeowners get on their feet a bit easier. The best thing we can offer to people is knowledge. By having knowledge about what is available to them, homeowners now have access to pursue these opportunities and build a better future for them and their families. Ji was a summer intern with Habitat Tucson’s Marketing & Communications department. Ji is a Tucson native (graduate of Salpointe High School) and currently a student at the University of Portland studying Organizational Communication. Ji took this internship because she wanted to learn more about marketing and the nonprofit field. Ji is now traveling to Cape Town, South Africa to study Computer Sciences. Want to learn more about our internship and volunteer opportunities?